It just happens to not be the project that I’m on a deadline to finish. 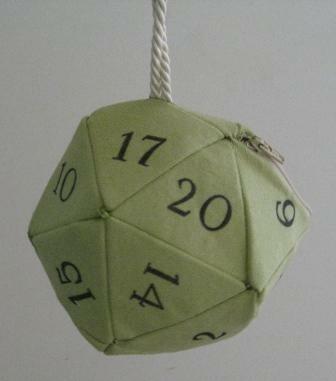 I made my d20 Handbag of Holding. It’s cute and functional. 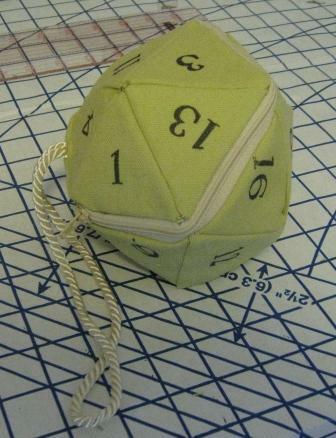 I will need to tweak the process when I make the hubby’s dice bag (shaping the corners better, numbering the bag properly), but it still came out a success. Now, onto the doublet for a little while.